WHAT IS SO UNIQUE ABOUT VANQUISH TREATMENT? Vanquish device by BTL delivers energy to your body to eliminate unwanted fat cells without even touching your body. 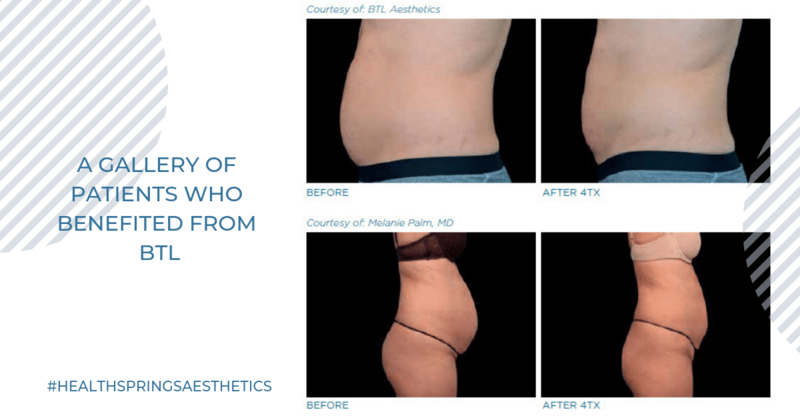 The unique technology of non-invasive Selective RF system/ thermal energy breaks down fat cells, which are then naturally flushed out by the body over time. As a result, it selectively delivers energy to fat with virtually no risk of overheating the skin, muscles or internal organs. As proven by scientific research, the treatment causes the natural death of fat cells (also known as Apoptosis). Vanquish procedure has been clinically tested and cleared. 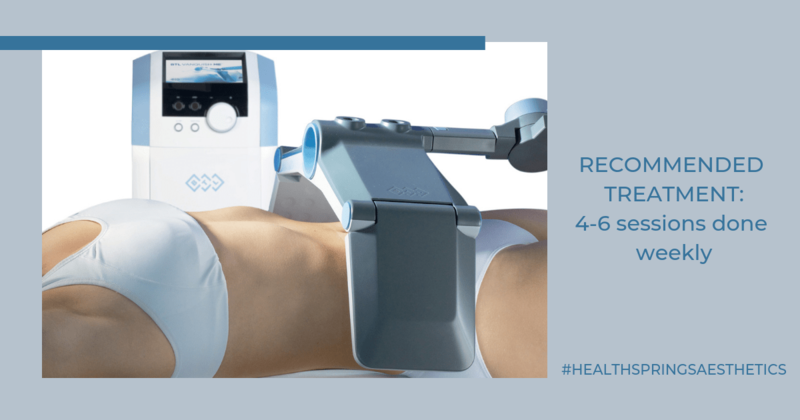 Unlike other body contouring devices, there’s no pain, no necessary downtime or side-effects in Vanquish – the machine doesn’t even touch you, and it can also be adjusted for different body sizes. Unique Thermal Profile – The treated body part is located in the high-frequency electric field. The temperature increases only in the target tissue while the surrounding tissue remains protected from reaching high temperatures. Tissue Selectivity – Energy delivery helps target the thermal effect into the deep tissue while protecting the surrounding layers. Frequencies employed specifically affect those deeper tissues and layers. Vanquish ME covers a large treatment spot. It can reduce the circumference of the entire abdominal area and can be adjusted for various body sizes. It also boosts of the ability to treat full flank to flank and will not leave any unevenness or unwanted lines. Vanquish Flex has been specifically adapted for use on the thighs — both inner and outer thighs. The thighs are a notoriously difficult part of the body to keep toned, and also cause uncomfortable problems like chafing, or stubborn fat to manifest on the inner and outer thighs due to ageing. Not just that, larger thighs can lead to other cosmetic and problematic issues like the development of cellulite. Simply lay back while your practitioner adjusts the flexible panels of the Vanquish Flex to surround your thighs, and relax for an hour while the heat lipolysis system does its work. $180 Trial session for Vanquish ME. Call us to book today!